Tango gives us the opportunity to dress up, but a tango Halloween adds to the fun with costumes! There are plenty of Halloween-themed milongas happening this weekend and throughout the week in the Southern California area. There are also a few notable milonga anniversaries. 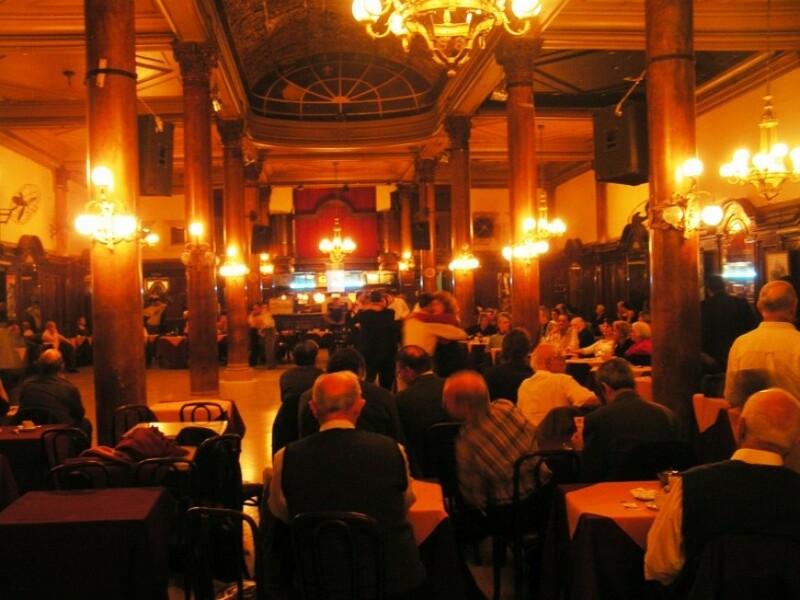 Starting, we have Milonga Bonbon hosted by Jerry and Christine on Friday, Oct. 25. There is the option to dress in costume or not and Augustina Ortiz-Marquez “Muñeca Brava” will be Djing. Milonga Atomica is having an “An Enchanted Hallows Eve” on Sunday, Oct. 28 at 8:30 p.m. It takes place at the Atomic Ballroom in Irvine. Laura Mingo and Daniel Arias are hosting their weekly La Milonguita with the theme: The Ghouls of Tango and a costume contest with prizes. It starts at 8p.m. at Sophie’s Dance Studio in Culver City. Join us for a night of ghostly delights, intimate ambiance and tango souls dancing in every corner. Makela is getting into the spirit with her practica on Monday night, Oct. 29. She is hosting a Halloween Costume Party, and there will also be a contest with prizes. 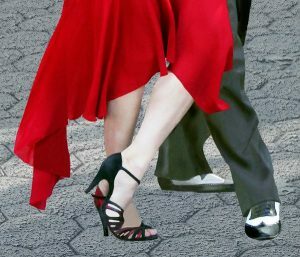 It starts at 8:30 p.m.
Tuesday is the celebration of Tango Mio’s second year as hosted by Robert Le. 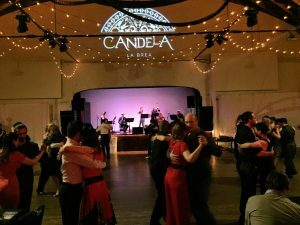 The Alejandro Ziegler Quartet will perform, Yuliana Basmajyan and her partner Marcelo Guiterrez will teach the 8 p.m. class, and Muneca Brava is DJing this event. No Halloween theme or costumes mentioned. Be warned: the price has been raised to $20 for this event. It will go back to regular pricing later. 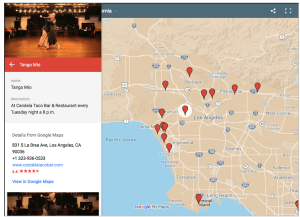 On Halloween, The Tango Experience will have a fullout Hallween tango bash with DJ Riccardo Iacovoni in El Segundo. and made with ♥ dance shoe bags for either women or men. Spice up your embrace at Milonga (r)Evo’s Pumkin ‘Spice’ Milonga with dancing starting at 8 pm to the spiciest Nuevo selections by DJ Vale. It’s everything PUMPKIN! Bring your favorite pumpkin dish to share. Pies, bread, candy, lattes, etc! You can view the addresses for all events on our Milongas & Practica’s page or click on the individual links in the text above for more info. 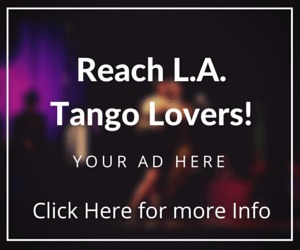 As always, if you have a special tango event coming up, you can submit it here and we’ll add it to the tango calendar. If it’s an ongoing event we can also add it to our Milongas & Practica page.